MINI SKID STEER TRENCHER 6"X30"
The trencher attachment has a high torque design. 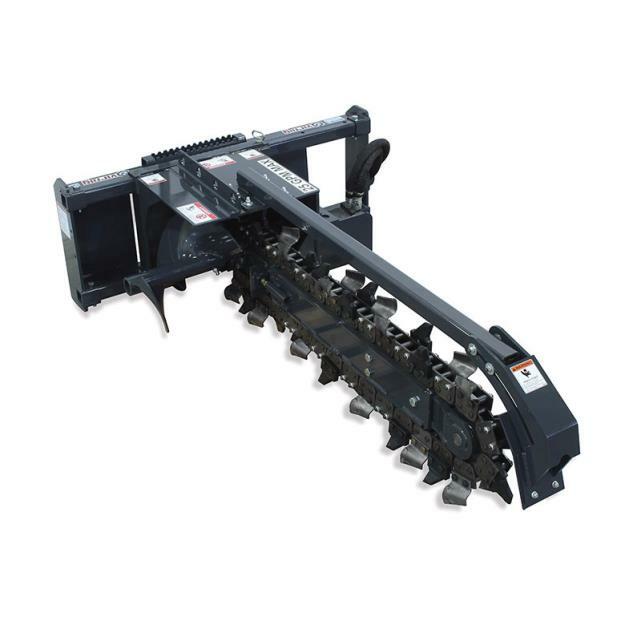 This trencher will dig a 6" wide trench, and lets you dig up to 30" deep. Great for irrigation, utilities, drain tile, etc.